Optimize the descriptions of your business: Add the description to Localistico. When you write it, keep in mind what words your customers usually look for and try to add them to this description. This will help Google to show your business in more local search results. Choose correctly you categories: Add the one that defines your business, as the first category. But don't forget to also add the alternatives categories for each platform. 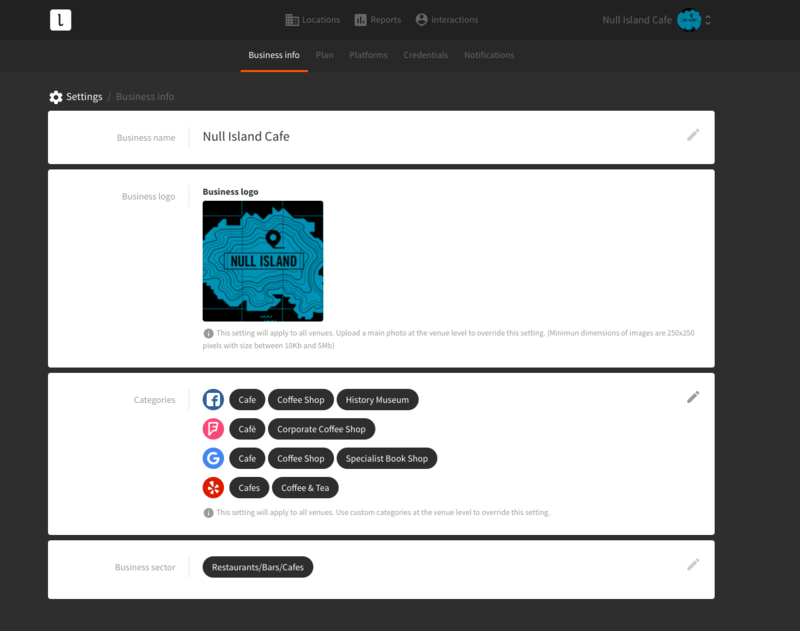 Remember that categories can be applied at the business level in 'Settings' or by local editing each location. Complete all fields: Try to fill in all possible fields for each location. The more complete the profiles on the platforms, the better. Name of your Locations: Platforms don't like the names of locations with surnames as name + address, name + region, name + business category... Name each location only with the name of your business; otherwise, the platforms will penalize your profiles in the search results. Upload pictures of your locations: We recommend you to upload at least, the logo, one exterior photo and one interior photo. How do I see the limit of locations in my account? Can I manage all the physical locations of my business from just one account? What do you mean by 'Location'? Can I add a new physical location of my business through Localistico for it to appear on all platforms?